Brisbane Shapenote broadcast from ABC LOCAL (i.e., Brisbane) RADIO Sunday 19th November. There’s a recording here on Facebook. This was the group’s last singing for 2017. The next Brisbane singing will be on 21 January 2018. Hugh McGraw started Sacred Harp singing in about 1953, when he developed an instant strong enthusiasm, and persuaded a second cousin (his “Uncle Bud” McGraw, a singing school teacher) to teach him about Sacred Harp music. McGraw then became a Sacred Harp composer, several of whose songs appear in the 1960 and subsequent editions of The Sacred Harp. Kevin Barrans, a singer from Washington State in the US, provides an excellent overview of Sacred Harp Singing in this video from Seattle’s Art Zone. 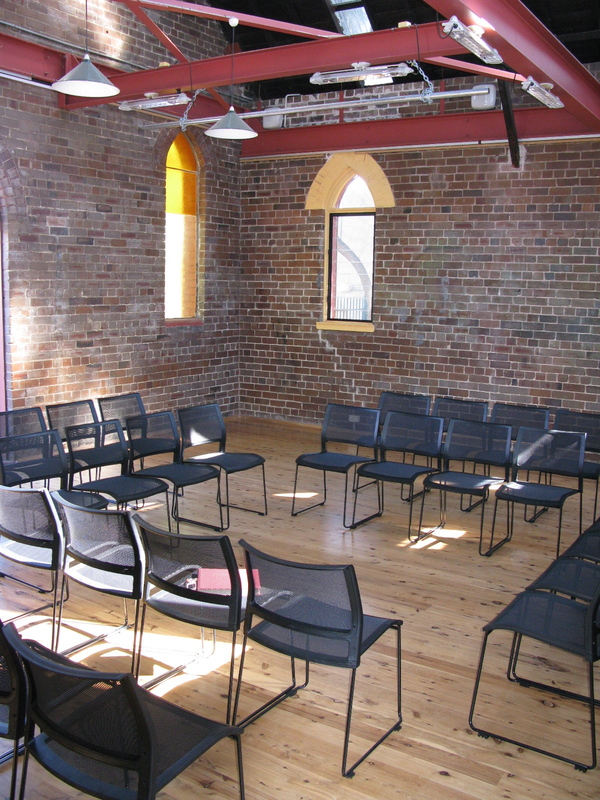 In 2017 the Tasmanian Shape Note Singers will be meeting on the 1st Sunday of the month in the historic St George’s Anglican Church Hall, Battery Point. More information on the Hobart page. Sunday 26th February, 2-5 p.m.
Upstairs hall of West End Uniting Church, corner of Vulture and Sussex St.
Ascend the stairs wiinding up the church exterior from the Sussex St passage-way. Then take a deep breath, sip some Justice Products tea or coffee and SING LOUDLY! The hollow square ready to welcome singers at the Dickson Street Space. By Meg Quinlisk (Sydney Shapenote Singers).